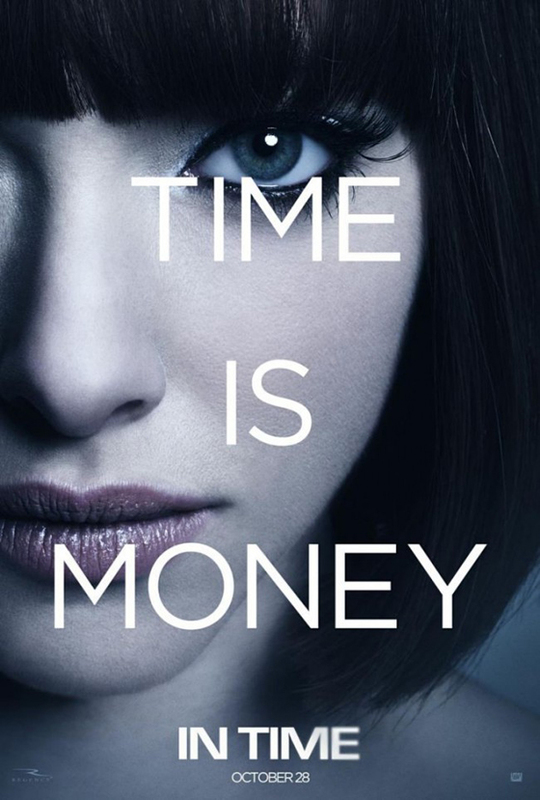 20th Century Fox Release The Trailer for 'IN TIME' Starring Justin Timberlake, Amanda Syfried & Olivia Wilde. 20th Century Fox have released the full trailer for Andrew Niccol's sci-fi thriller In Time which stars Justin Timberlake & Amanda Syfried. The movie takes place in a world in which people aren't giving off the physical signs of aging passed 25. The studios actually bizarrely released a teaser trailer at the same time as the full trailer, the teaser has been pulled but the full trailer remains. The movie also stars Cillian Muphy, Vincent Kartheiser, Alex Pettyfer, Johnny Galecki, Olivia Wilde & Matthew Bomer. The movie hits theaters October 28th. Hit the jump to check out the trailer. Synopsis: "IN TIME, directed by Andrew Niccol & stars: Justin Timberlake, Amanda Seyfried, Olivia Wilde, Alex Pettyfer, Cillian Murphy and Vincent Kartheiser. The film is set in the future where the currency is time- once you run out you die. When a young man (Timberlake) finds himself in possession with more time than he can imagine, he must make a run for it from the corrupt police department and take a young woman (Seyfried) as hostage until he clears his name." I'm reading: 20th Century Fox Release The Trailer for 'IN TIME' Starring Justin Timberlake, Amanda Syfried & Olivia Wilde.Tweet this!